Uniroyal - I Say Ding Dong Shop - Buy Stickers, Decals & Unique Automobilia. Uniroyal For Everything You Value Slanted Oblong Stickers. 4" Pair. Uniroyal Power Grip Timing Belt by Uniroyal Sticker. 9". 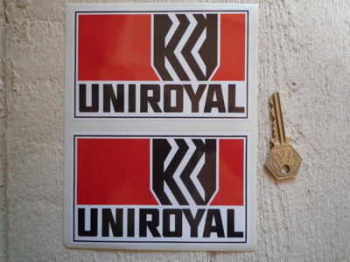 Uniroyal RAC Autosport Rally Championship 1972 Arrow Sticker. 10". 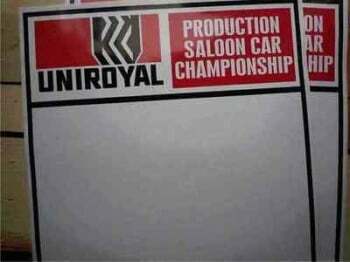 Uniroyal Saloon Car Championship Door Panel Stickers. 19" Pair. Uniroyal Tyres Oblong Stickers. 5" Pair.